A female news presenter of one of the three major TV networks here appeared wearing glasses on air, sparking interest online. Lim Hyeon-ju, who delivers the news on MBC’s morning news program “MBC News Today,” wore a pair of round-rimmed glasses on air Thursday. 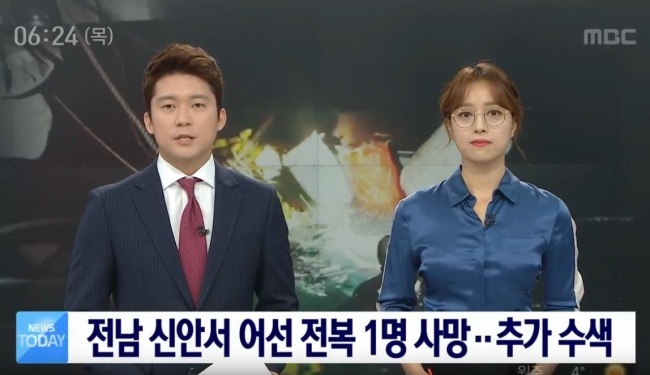 While male news presenters in Korea have often been seen wearing glasses on air on major TV networks, including KBS, SBS and MBC, it is the first time for a female presenter to do so. “Anchormen are free to wear glasses, but why not anchorwomen?” Lim later posed in an interview with Yonhap News Agency. Lim said she chose to wear glasses not only to be free from wearing contact lenses, which tires her eyes, but also to send a message to Korean society. There have been cases where women were compelled to wear contact lenses instead of glasses during work, while the same rule, often unspoken, did not apply to male workers. Several local movie theaters are notorious for not allowing female part-time workers to wear glasses on duty. “I hope that people wouldn’t think that it is uncomfortable to watch a news presenter wearing glasses, just because that presenter is a woman,” Lim said. Many online commentators applauded her move via news comments and Twitter after the news was aired.